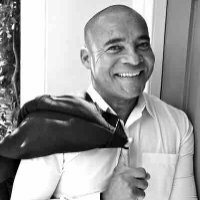 Nice to have been working with the very amiable Kevin Duala in the studio recording commentary for two films he'd presented for the BBC's One Show. This was tight turnaround job, record at 5pm on air from BBC the BBC Salford at 7pm. With the director in his ear down a phone line we were able to get a first class performance. Sweet. Nice working with you Kevin.